The bespoke suit speaks for itself. It is made with the person in mind and when done right fits like a second skin. While there are other options for suits, such as made to measure (MTM) and ready to wear, bespoke suits stand out because of the story they carry. It may seem strange for a brand-new suit to have a story before it is even used, but the process behind the tailoring and the history of the tailor himself, adds to the charm of the suit. Whether they come from www.timothyeverest.co.uk or other known tailors, bespoke suits are a cut above the rest. A lot of work goes into the making of a bespoke suit. You need to visit the tailor 3 to 4 times before the suit is done. On the first visit, you hammer out your vision for the suit. This takes into account the fabric, the colour, and the cut of the suit. After discussing your ideas, you are measured. Those measurements are used to make patterns specifically for your body shape and size. The fabric is then cut and basted before being stitched. The second, third, and fourth meetings are all fittings with the suit becoming more and more complete after every visit. The cutter takes note of the alternations that need to be made after every meeting and adjustments are made. Behind one bespoke suit, there are seven people that work together to bring your vision to life. Some of the best in the business are those who have not only been working in the industry for years but also have tips and tricks handed down through family generations. The cutter takes your measurements and does the bare bones of the project with the pattern and cutting the fabric. The cutter then distributes the cut fabric to the coat maker, waistcoat maker, and the trouser maker. They baste the fabric and make adjustments according to the notes of the cutter made during fittings. A finisher finishes the job by felling the linings and edges. A specialist presser treats the fabric of the suit in stages. 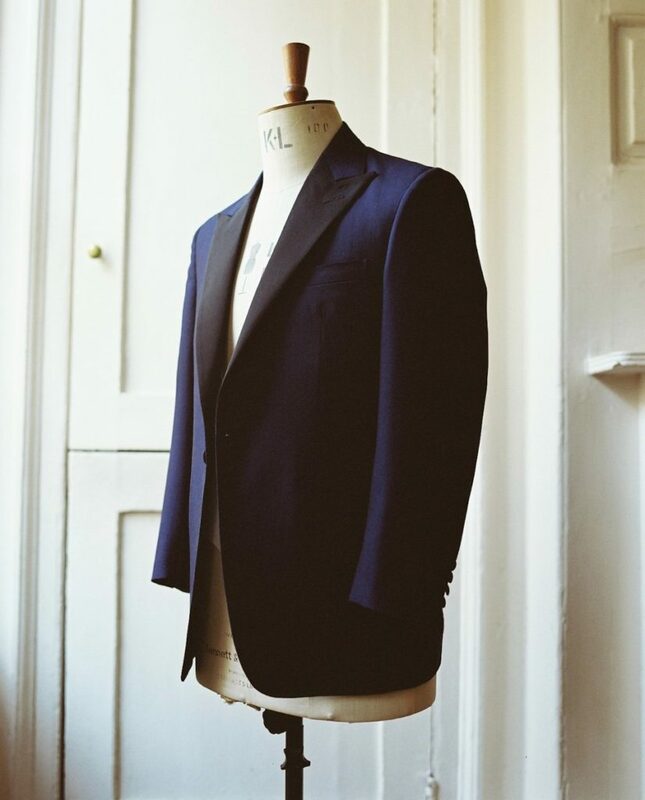 And last, but not the least, are bespoke tailors who make the last-minute changes during the final fitting as well as help maintain your suit over time. This only scratches the surface of the story behind your suit. Where the materials are sourced, the training and experience of the staff, and the design, in general, all have a story that should never be overlooked. When you own and wear a bespoke suit, you are carrying on your shoulder the dignity of all these stories combined.